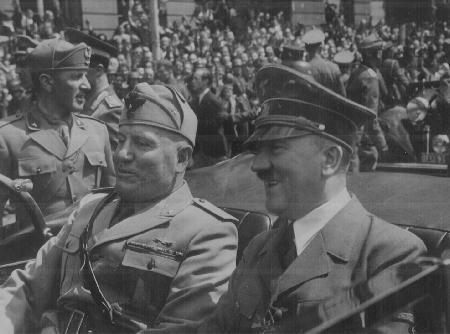 Benito Mussolini, the Italian Fascist leader, met with Hitler for the first time in Munich. This was on June 18, 1940. As Hitler's power climbed, his control grew undeniably as well. He seized more and more nations and terrorized greater numbers of people. In this massive seige, France became a victim on June 14, 1940, when Hitler's army marched into Paris. 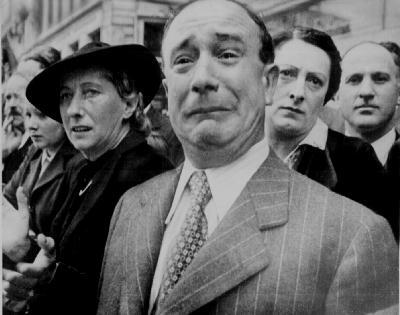 At the right, a French man weeps at the beginning of a four year German occupation of his country. 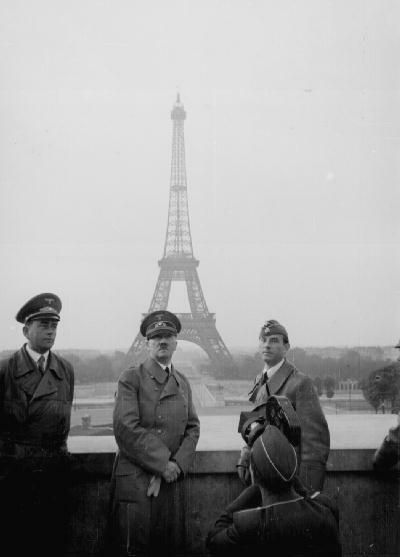 Hitler later toured France with architect Albert Speer, shown at the left.